So as you are all aware now I’m a moderator, taking some of the stress off @Danny as our daily post count is really rocketing lately, we’r swamped under with new member activations and marketing meetings etc. 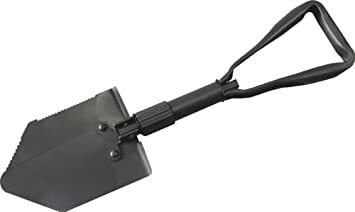 So, up for grabs (thanks for mike @ Nela) is the new nela corner trowel. Available in 90 or or 103 degrees. I don’t want to tell you how to plaster but if you know your s**t you’ll have the 103.
so how do you win it? When you was taught to plaster you got lots of advice and tips. Was there a bit of advice that didn’t make sense at the time but years later it did? Put plenty on your hawk or you'll have one arm bigger thant other ! I learnt the old boy was a lying 2hat ! I got told the 6P's from a spread years ago. Perfect preparation prevents piss poor performance. If the job isn't done right from the start it won't be right at the end. One of the tradesmen were I served my time said I'd never be a plasterer if I lived to be a hundred, well only 50 years to go. Was there a bit of advice that didn’t make sense at the time but years later it did? Start by presuming that everyone you meet is a cnut. You'll be amazed at how infrequently you're proved wrong. On the few occasions you are, you'll be much happier than if you try it the other way. Pay as much as you can into a private pension my dad told me when starting out, now I’m 50 I wish I had listened. Bend over and take it like a man..
Sunday 2100 is 82 years away plenty of time. A couple of old c**ts that didn't get their hole. Probably dead now, nae luck. does the NAE LUCK BIT make you Scottish?